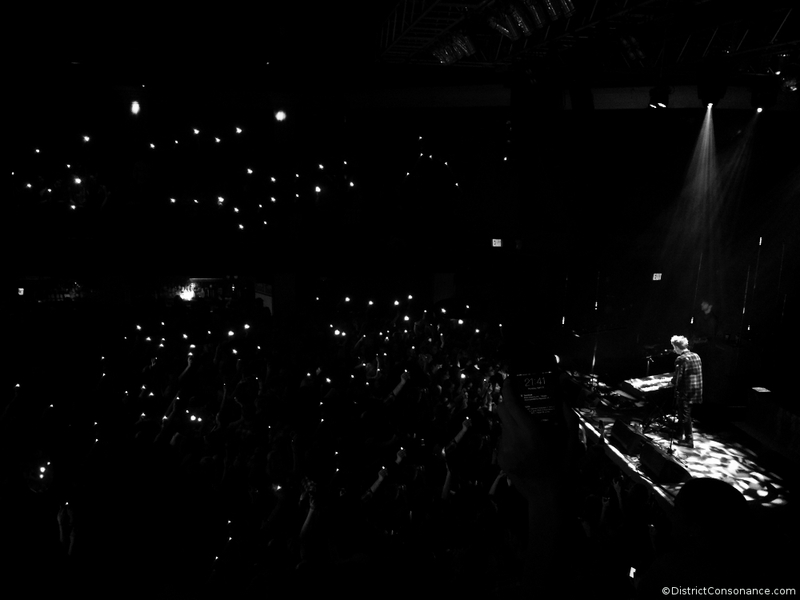 Two years ago, Kodaline was the supporting act at a 9:30 Club show. Last week, the Irish rock band returned to the D.C. venue, this time as the headliner. It was an evening of music that was both achingly beautiful and irrepressibly joyful. 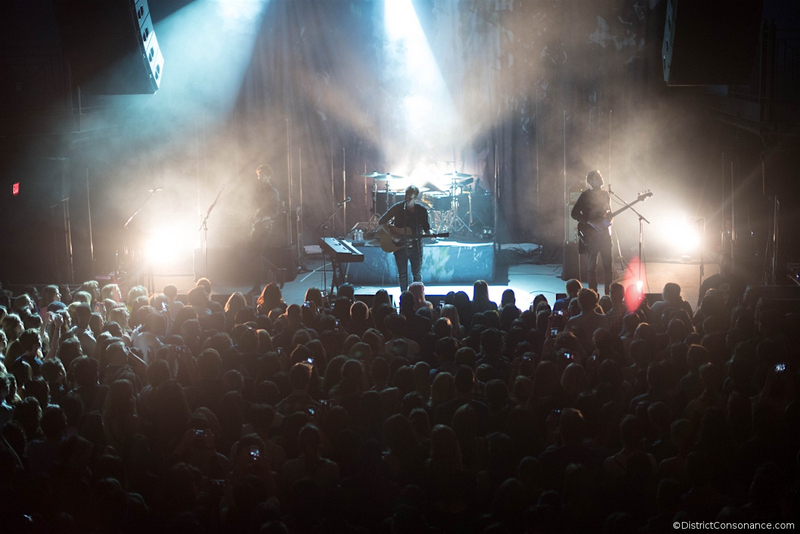 Check out the photos below and enter for a chance to win tickets to Kodaline’s Los Angeles show on May 5, 2015. Nine o’clock, Thursday night. Gavin James had finished his soulful opening set, and Kodaline was up next. On the club floor, the crowd was jammed up against the barricade. From the balconies, eager faces looked down. When the lights dimmed, the audience let out a roar of anticipation. A 9:30 staffer flipped on his flashlight and nodded to the three of us waiting in the wings. As we sidled into the photo pit, I had a sense – not quite of déjà vu, but of return: Two years after Irish rock band Kodaline opened for The Airborne Toxic Event in this space, they were back as the headliner – and I was back as one of the multitude, eager to soak it all in. The stage was bathed in blue light. Steve Garrigan, Jay Boland, Mark Prendergast, and Vinny May walked out, grinning – almost bashfully – as if unaccustomed, still, to the adoration. Look me in the eye when I am talking to you / It’s easy to get nervous I’ve been feeling it too / Yeah it’s kinda crazy, Yeah it’s kinda dumb / Never let the pressure overpower the fun. It was the perfect start to a perfect evening. Kodaline released their sophomore album, Coming Up for Air (RCA), last month (grab a physical or digital copy here). The band worked with producers Jacknife Lee (U2, Snow Patrol, One Direction), Jim Eliot (Ellie Goulding), and Steve Harris, who produced Kodaline debut In a Perfect World. The collaboration comes through in the sound – it’s glossier and more cinematic, plays with electronic textures, and delivers the irresistible hooks and soaring harmonies that you can imagine filling a stadium, a thousand lighters (or these days, smartphone screens) waving in the air. Plan became reality, and on an unseasonably chilly evening in late April, fans started lining up outside the venue two hours before doors. 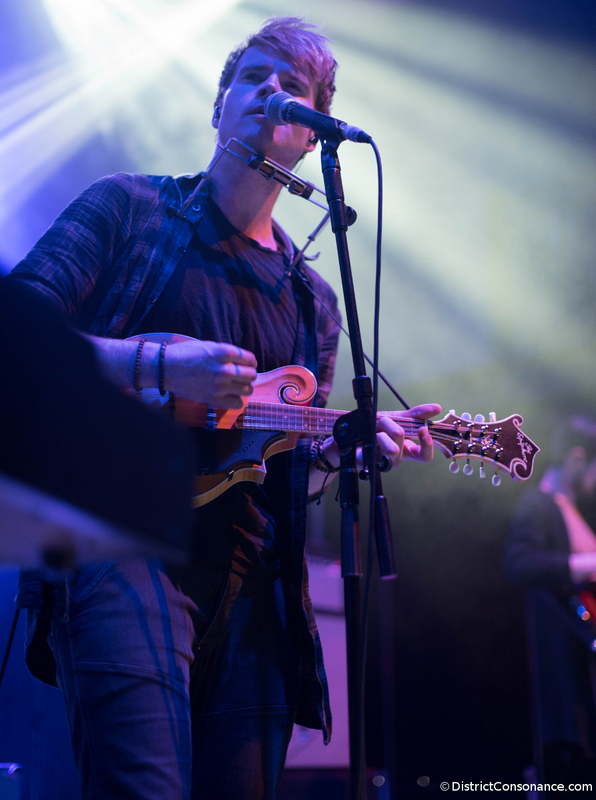 Kodaline at the 9:30 Club (April 23, 2015). A group of particularly devoted Kodaliners welcomed the band back to D.C. with a bottle of champagne and gift card to Ben’s Chili Bowl. Record label reps handed out posters to the concertgoers in line, asking about favorite songs. That question prompted discussions up and down the line. The biggest reservation I heard about Coming Up For Air is that it’s a bit too slick, too much of a departure from the more acoustic-grounded sound of In A Perfect World. But there were no reservations by the end of the evening. Played live, the new songs conveyed all the raw emotion – the pathos and the sense of unrelenting hope – that got fans hooked and keep them coming back. Steve continued: “This is a romantic song. I’d say get out your lighters, but we don’t want to set the place on fire. So maybe you could take out your phones for us.” In an instant, the dark club mimicked the evening sky, a constellation of screens held aloft. To close out the evening, Gavin James returned to the stage to join Kodaline in “All I Want.” Critics be damned (when was the last time the naysayers had the courage to pick up a guitar and share a song with the world?) 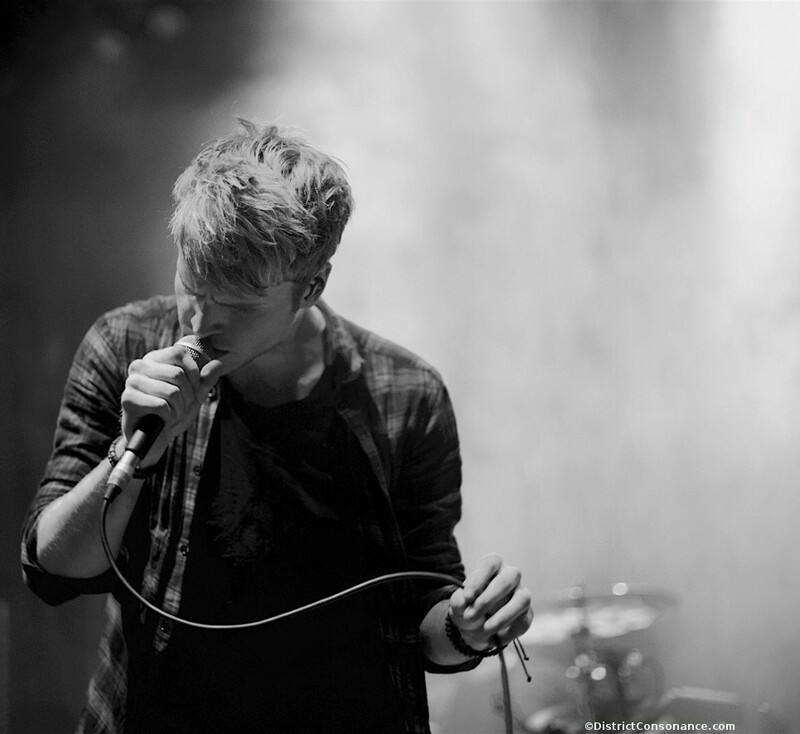 – Kodaline sounded really good – or to crib from the lyrics to “Coming Alive,” the night felt so good, felt so right. It doesn’t have to be groundbreaking to make us feel connected, alive. 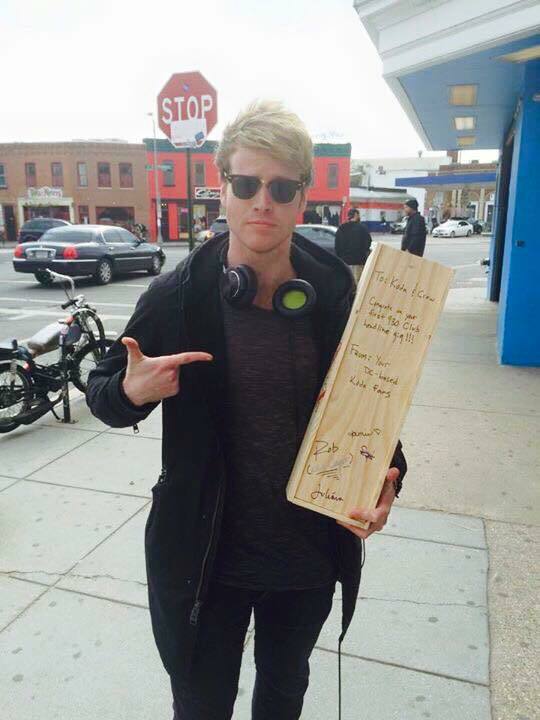 And that is why Kodaline will continue to sell out venues on both sides of the pond. So make sure to catch them on tour – dates here. And now, here’s your chance to win a pair of tickets to Kodaline’s show in Los Angeles (at The Wiltern) on Tuesday, May 5! There are two ways to enter (if you enter both ways, you get two shots at it). 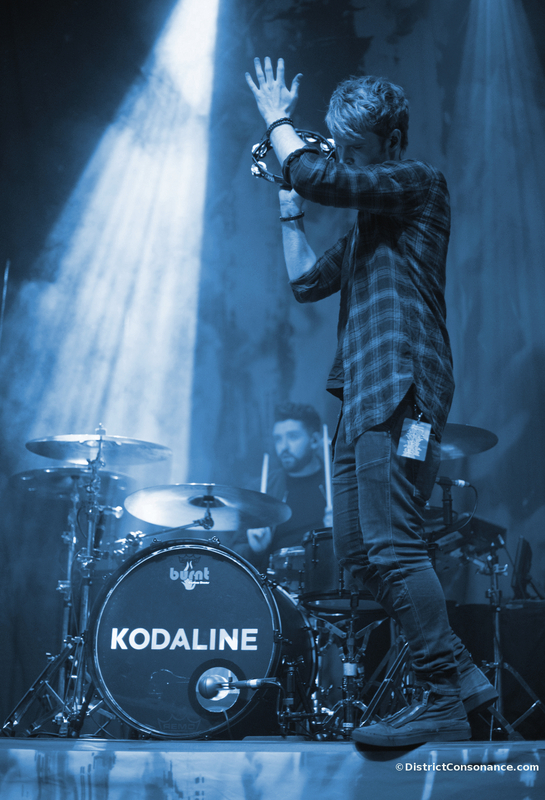 Option one: Leave a comment below, naming your favorite Kodaline song. The ticket give-away closes Thursday, April 30, at 11pm EDT. I will contact the winner either by replying to your comment here or by Instagram DM, depending on how you enter. Good luck! These tickets are courtesy of Live Nation/Ones to Watch, which lets fans get closer to their favorite bands by recording video questions to send via Skype, which the band then collects and answers in a recorded video message (sometimes accompanied by an acoustic rendition of one of their songs!). I’ll be posting exclusive content from Kodaline in a few days, so stay tuned! Thank you, Kenzie and Live Nation, for the photo pass! Big Bad World is my favorite Kodaline song because my really good friend introduced me to that song and that’s how I discovered Kodaline. My friend at that time was going to rehab and about to be homeless. So we would blast that song and drive to the beach singing or hearts out. It saved us. High Hopes is my absolute fave! One Day I would have to say is my favourite. I lost my brother a few years ago and every time I listen to it I kind of feel like its him speaking to me & it gives me more motivation to do better things & live my life. I would say it’s a very important song to me & pretty much explains myself & my life. Michele, thank you for sharing your story. I’m happy to say that your name came out of the hat (well, the computer-randomized drawing)–please email me at District.Consonance [at] gmail.com and I’ll send you the details on your tickets! Heard Kodaline for the first time on Sirius XM earlier this week. Great melodies over a beautifully harmonious backdrop. Definitely looking forward to seeing them sometime!